Dr. Anwar Basha Dudekula has joined in this premier nutrition research institute as Scientist ‘B’ on 28-Feb-2018. Dr. Anwar obtained M.Sc., Ph.D., in Biological Anthropology from Sri Venkateswara University, Tirupati, Andhra Pradesh. 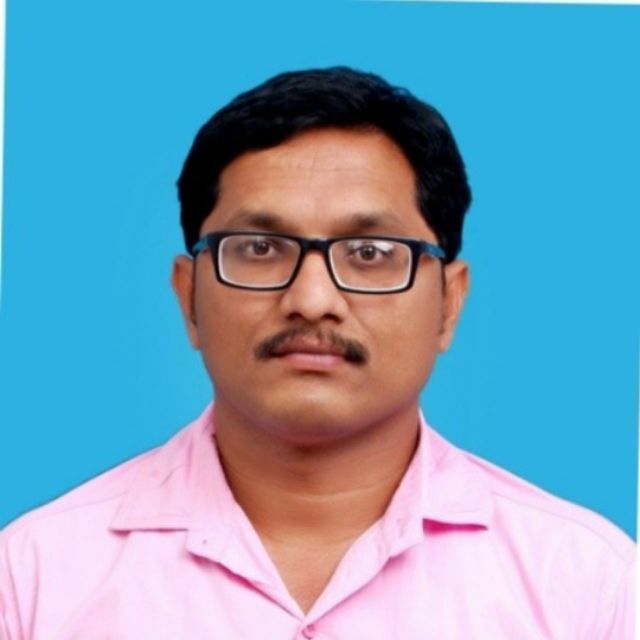 After his Ph.D., in 2014, he worked as a Project Fellow in the UGC-CAS-I programme, entitled ‘Bio-cultural Perspectives of Health and Disease’, in the Dept. of Anthropology, Sri Venkateswara University, Tirupati. Dr. Anwar has effort in the area of Epidemiology; especially in the study of Non-Communicable Diseases (NCDs) and Metabolic Syndromes (MetS). He is a Life-Member of ‘the Indian Science Congress Association’. At present, Dr. Anwar concerned in Nutritional Anthropology, Nutritional Epidemiology and Community Health Nutrition. Anwar Basha D, Reddy KSN and Lalu Naik J. Association between physical activity and metabolic syndrome in an urban adult population of Chittoor district, Andhra Pradesh. Ind J Health Wel’b. 2018;9(2):178-183. Lalu Naik J, Reddy KSN, Reddy BKC, Anwar Basha D. Prevalence and risk factors for metabolic syndrome in urban elderly: a community study from Tirupati, Chittoor district, Andhra Pradesh, India. Int. J. Com Med Pub Health. 2016:3(8):2106-2111. Anwar Basha D, Lalu Naik J, Reddy KK, Reddy BKC, Reddy KSN. Physical activity and its effects on blood glucose levels among the urban adults. J Sci. 2015;5(9):801-806. Anwar Basha D, Lalu Naik J, Reddy KK, Reddy BKC, Reddy KSN. Association between body composition, blood pressure and socioeconomic status in adult population. AARJSH. 2014:1(21):128-137. Reddy TM, Reddy KSN, Reddy KK, Anwar Basha D, Lalu Naik J. Metabolic profile and body fat distribution in diabetic hypertensives and normotensives. J. Life Sci., 2013;5(1):23-28. Anwar Basha D, Lalu Naik J, Reddy KSN, Papa Rao A. Prevalence and associates of hypertension among Tirupati urban adults, Andhra Pradesh. Ind J Health and Wel’b. 2013;4(1):72-75. Reddy KSN, Reddy TM, Reddy KK, Anwar Basha D, Lalu Naik J, Papa Rao A, Reddy BKC, Subhashini AB. Association of anthropometry risk factors with other risk factors in a rural population of South India. World Heart J. 2012;4(2/3):109-121. Reddy KK, Reddy KSN, Papa Rao A, Lalu Naik J, Anwar Basha D. Association of anthropometric parameters with blood pressure in urban adult females of Andhra Pradesh. J. Life Sci. 2012;4(2): 107-111. Anwar Basha D, Lalu Naik J, Reddy KSN. Correlation between body mass index and blood sugar among the type 2 diabetic adults. Asian J. Exp. Biol. Sci. 2012:3(2):378-383. Anwar Basha D, Lalu Naik J. Television viewing and sleeping are associated with overweight among urban and semi-urban children of Chittoor district, Andhra Pradesh. Ind J Health Wel’b. 2011;2(4):680-682. 1. Anwar Basha D. Effect of Body Mass Index on Blood Glucose. India: Notion Press; 2016. ISBN: 9781946048660. 1. Dr. Anwar got ‘Project Fellowship’ from the University Grants Commission, New Delhi during his Ph.D., programme (2010-2013).